The country's per capita media and entertainment spending is likely to be capped at $32 or Rs 2,080 by 2021, the study noted. The market size is expected to reach $52.68 billion in 2022 from $30.36 billion in 2017, it claimed. "It (India) is set to be in the top 10 entertainment and media markets globally by 2021 in terms of absolute numbers," the study said. "During the same period in India, the segment is expected to grow from $297 million to $823 million in 2022 at a CAGR of 22.6 per cent. With increasing smartphone penetration and lower data tariffs, VoD is showing promising growth," the report said. "India's per capita media and entertainment spend will be capped at $32 (about Rs 2,080 ) by 2021. The spend is much lower than that of China, which will stand at $222 (Rs 14,430 ) for the same period, and that of the USA, which will have the highest spend at $2,260 (Rs 1.46 lakh)," the study said. 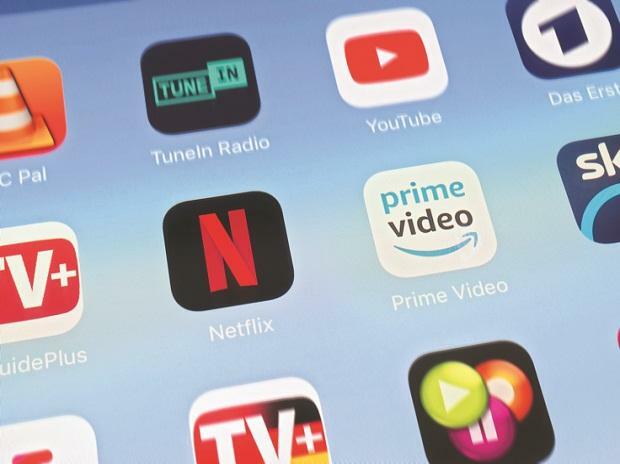 A large number of choices in the video-on-demand segment has spoilt consumers in India, the study noted. "Hotstar has had a first-mover advantage in the OTT space in India. Other top players in the OTT ecosystem include Voot, SonyLIV, Netflix, Amazon Prime, Eros Now and ALTBalaji. Start-ups such as Arre and YuppTV are an additional presence," it added. "With increasing traffic in metro cities, the time spent on viewing videos is also on the rise. Cab aggregators, such as Ola, have installed tablets inside their cabs with a wide range of curated content for passengers at no additional cost," the report said.